Say thank you to your teacher for all the hard work and dedication they have given you over the last year. For all the support and commitment we have the perfect gift for you show your appreciation. A beautiful bouquet of flowers with peach roses, germini blossoms, bouvardia and chrysanthemums hand tied and accompanied with an 18" helium balloon. 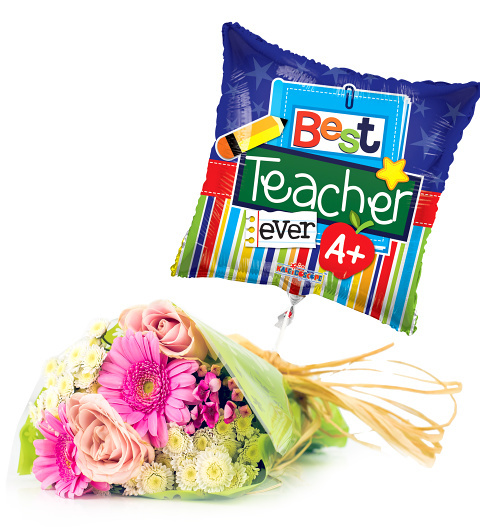 Available for UK next day delivery, this is certainly the surprise your teacher deserves.